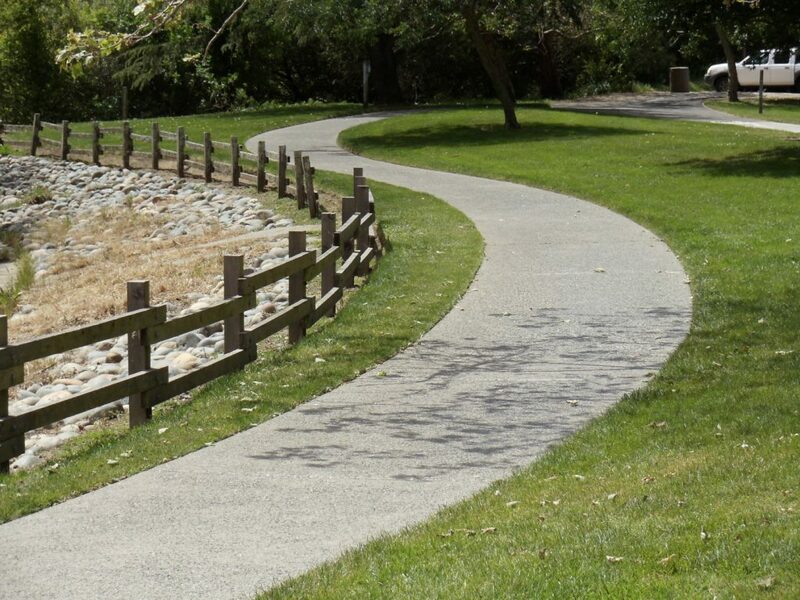 The Cerrito Creek Trail provides a safe and scenic route for walking and biking between the El Cerrito BART and the Bay Trail. 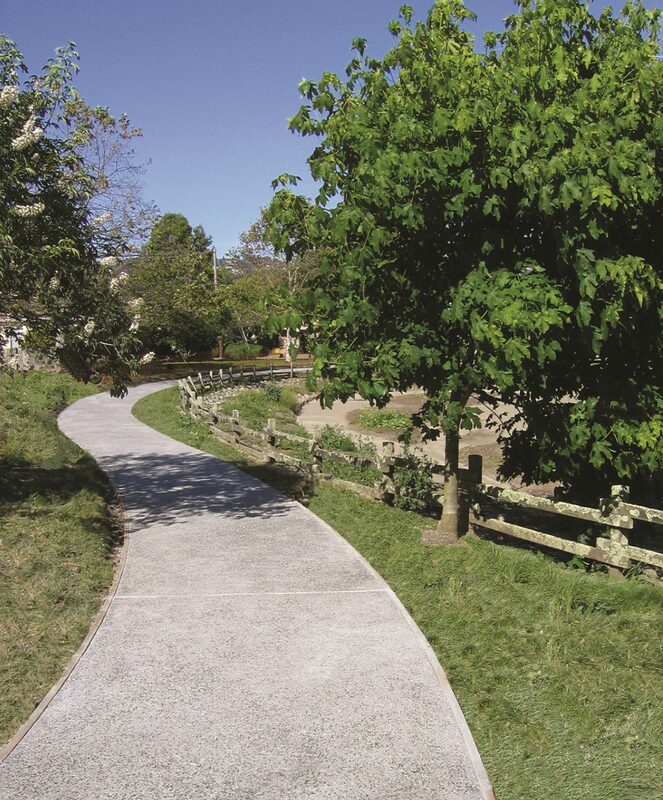 The trail also forges valuable pedestrian connections among neighborhoods, the Ohlone Greenway, Hill and Creekside parks, and the El Cerrito Plaza and Pacific East Mall retail areas. 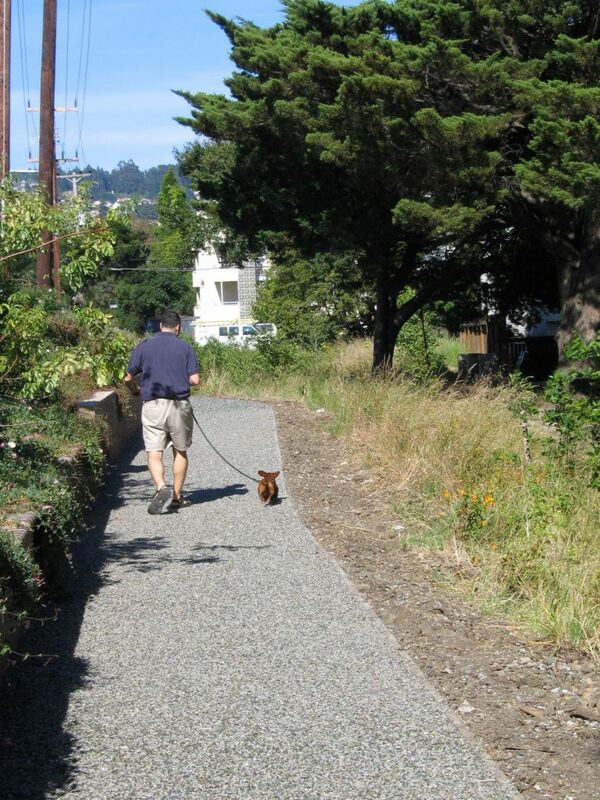 PGAdesign coordinated the design with residents, government agencies, business owners and Friends of Five Creeks. 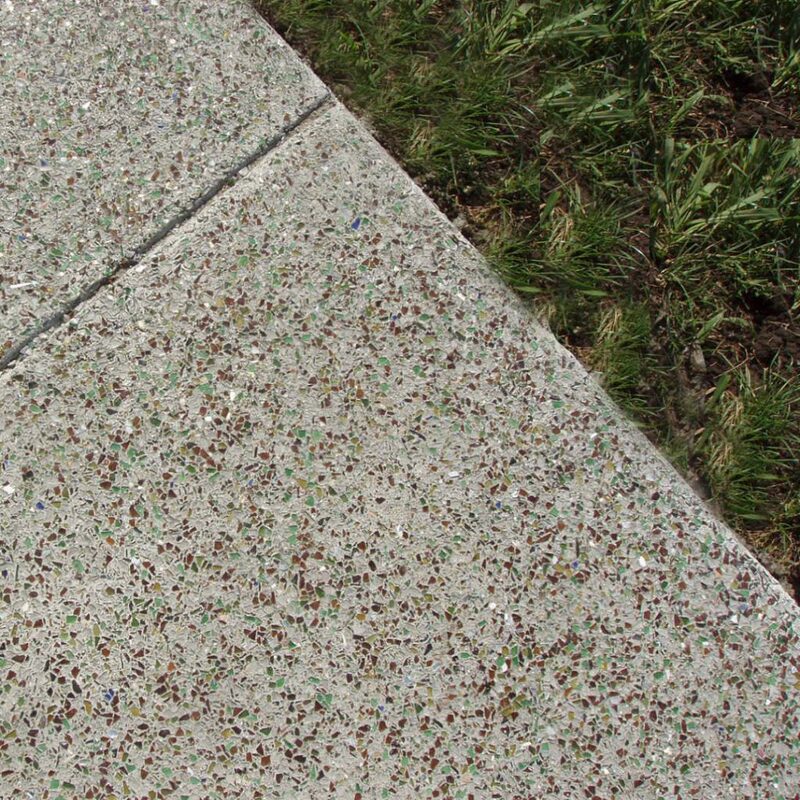 PGAdesign’s plan called for innovative use of tumbled recycled glass to meet the city’s four criteria: sustainable products, ADA compliance, permeablity, and low cost. 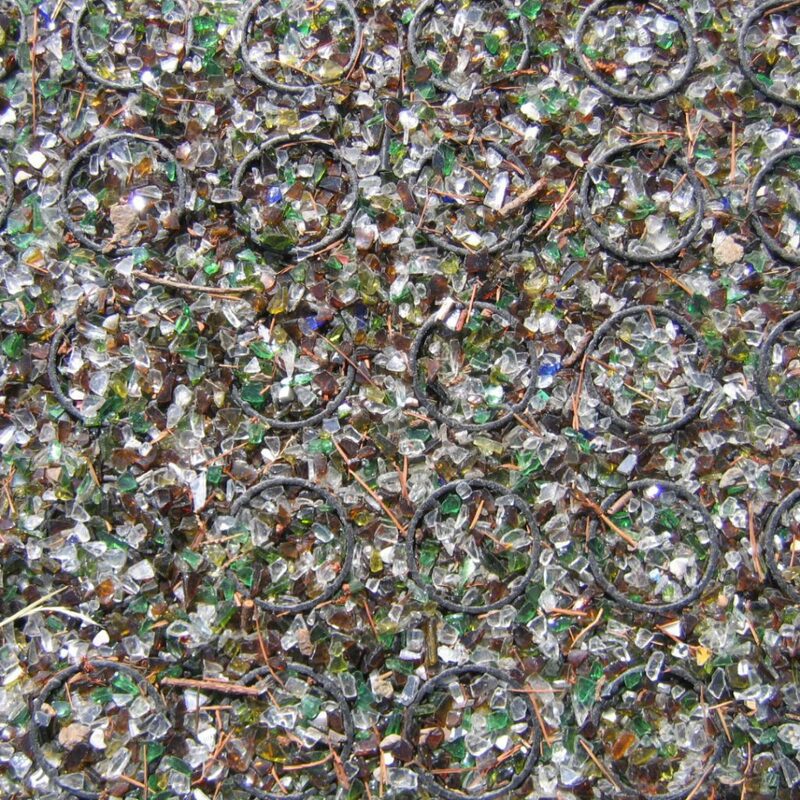 The recycled tumbled glass cullet is top seeded into the concrete portions of the path, and loose glass cullet is used to fill the plastic cells that create the permeable pathways of the trail.